I love Halloween and I basically love celebrating anything and everything but just like with any holiday, things can add up fast! For this reason, we usually always try to DIY our costumes. It actually turns out way more fun this way, because no one else’s costume will ever be the same as yours (even if you are the same thing, haha). 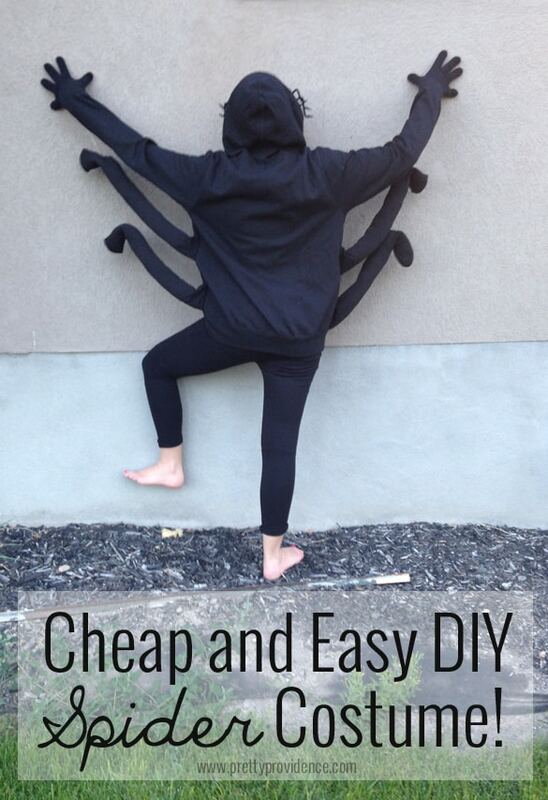 I love this easy DIY spider costume because it is so customizable! You can make it for babies, adults, anyone in any size! I am considering making one for the whole family this year, and then making our garage into a web or something! 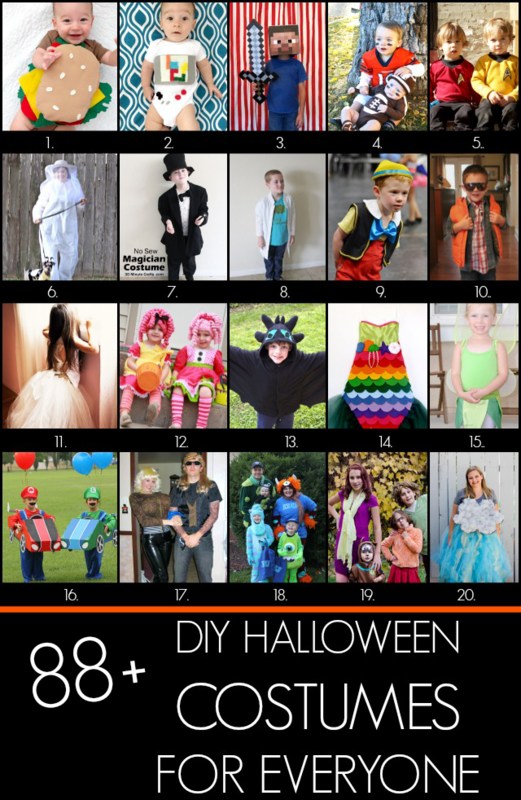 Along with my cheap and easy DIY spider costume, I’m sharing 88+ more really awesome handmade costume ideas from my talented blogger friends! 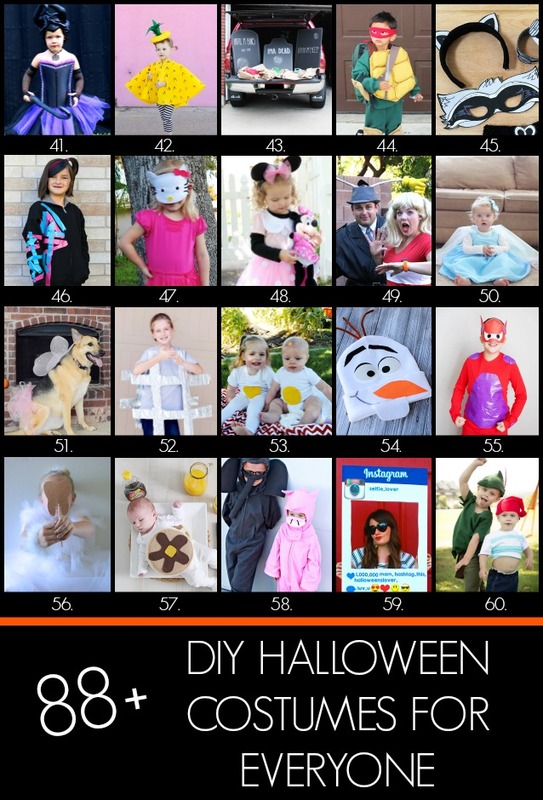 I’m teaming up with Jamie Dorobek and her handmade Halloween costume site, Really Awesome Costumes to bring y’all tons of easy ideas to craft up DIY Halloween costumes for everyone including your pets, family costumes, and even a trunk or treat idea! 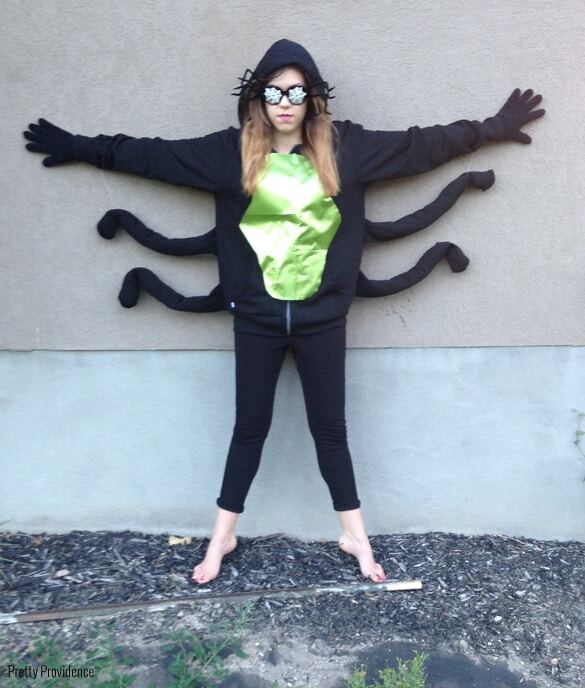 Okay, are you ready to make a really cute and easy spider costume??? Let’s do this thing. First things first, take your trouser socks and stuff them with your empty grocery bags. Once they are stuffed pinch the end closed and sew (you can use a machine or hand stitch) onto the sides of the sweatshirt. 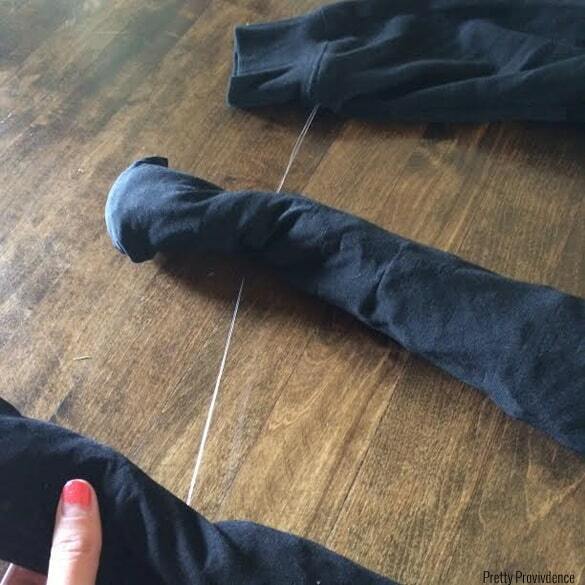 You should have two socks on each side, right under each sleeve. 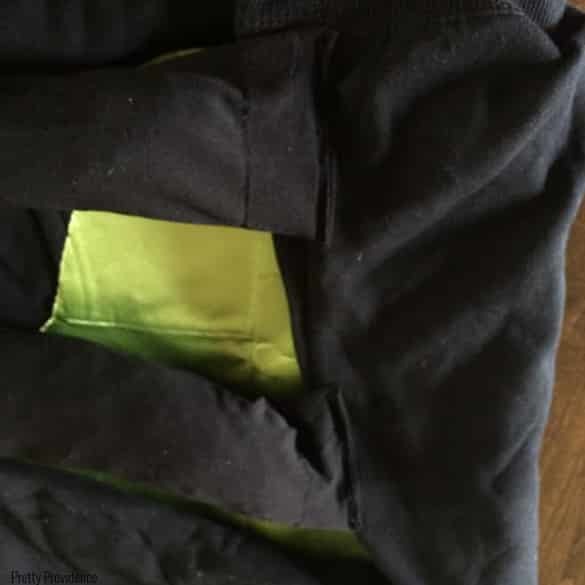 After sleeves are stuffed and attached to the sides of the sweatshirt, take your clear thread and attach the arms to eachother. Start at the top on the inside of each sleeve, and tie a big knot. Pull strait down and put needle through each leg so that when the wearer lifts their arm, all the arms lift in unison. 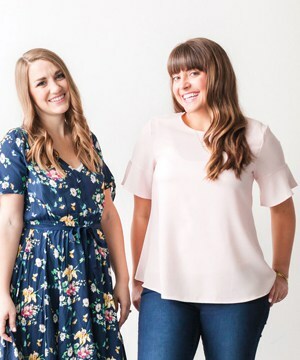 If you are opting to have a tummy patch, cut your desired shape out of your fabric and sew it onto the tummy of your sweatshirt at this point. Last but not least, our “eye” glasses! 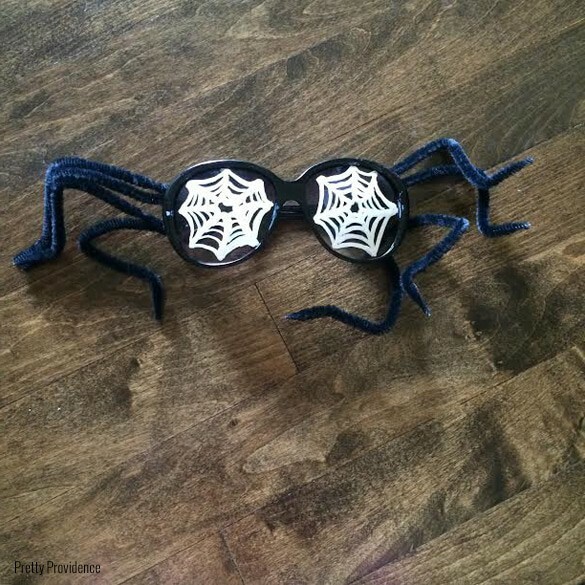 Hot glue your pipe cleaner “legs” onto the inside corners of your glasses, and use the paint pen to draw your little webs! I mean… easy enough a kid could do this… right? I hope you love your spider costumes as much as we love ours! 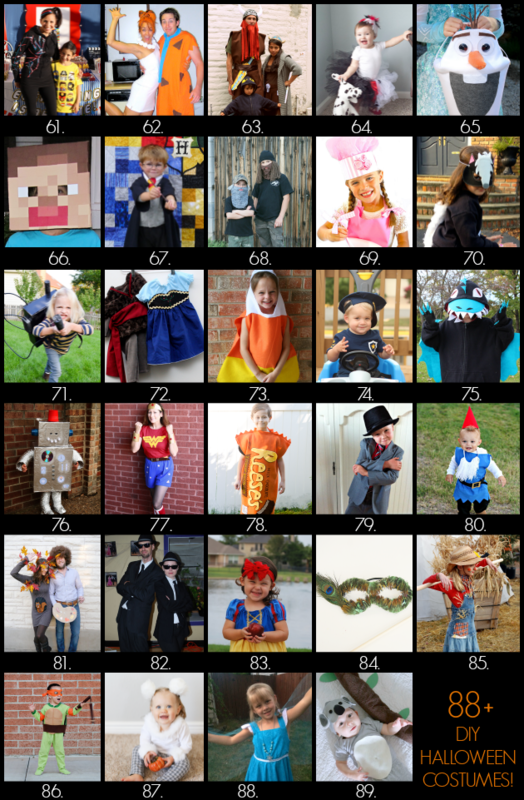 And now it’s time for tons more DIY Halloween costume inspiration! Click on the links below each collage to get the detailed instructions about how to make the costume pictured, just like mine above. Amazing ideas am I right?? Which costume did you love the most?! 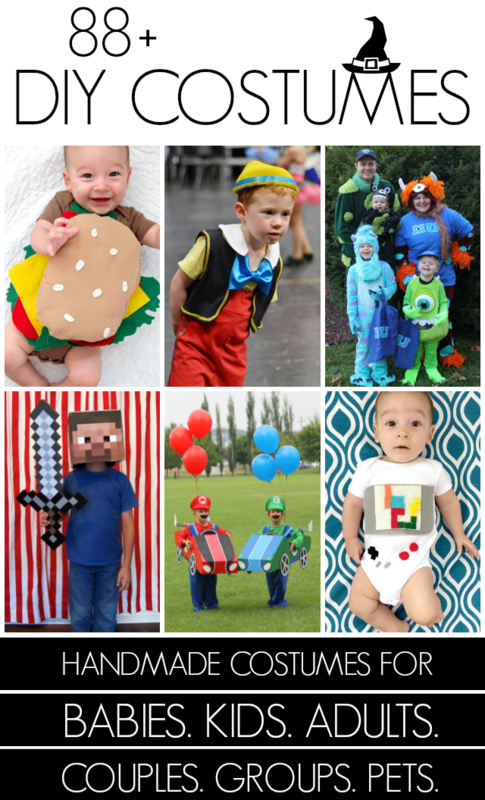 Also, you can follow the Handmade Halloween Costume board on Pinterest if you want continued costume inspiration! 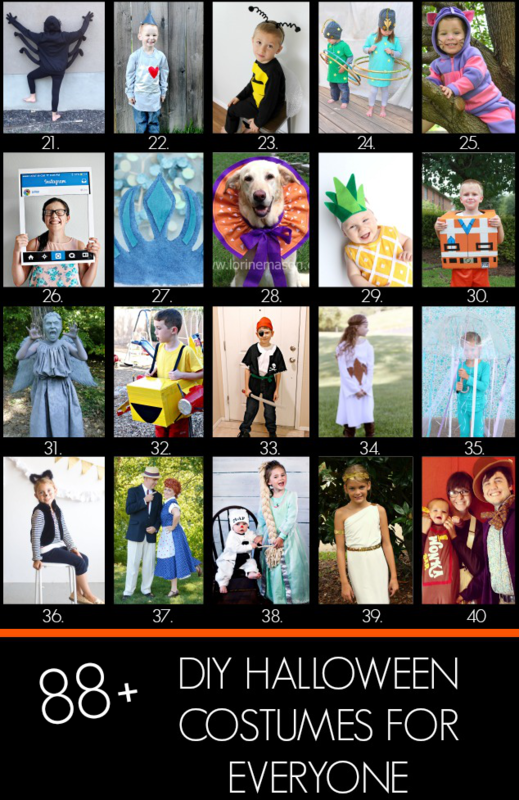 If you can’t get enough of the DIY costumes be sure to check out these 18 easy DIY costumes or make this awesome DIY Mummy Wreath! 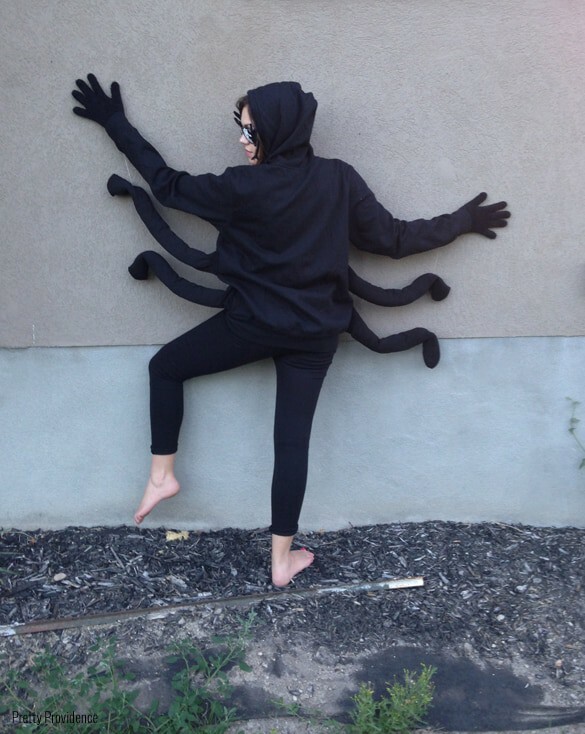 Very creative – but spiders have eight legs! So add one more sock to each side. Or be an insect? Haha ya, I just kind of ignored that because I only had two pairs of old tube socks! But you are right! !